Vacuum Pump targets scientific and industrial communities. 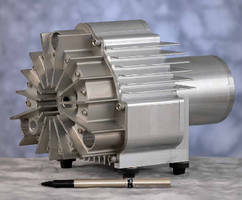 Scroll Pump produces 5 mTorr vacuum without turbo boost. 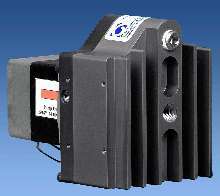 Scroll Pump is designed for dry vacuum pumping applications. 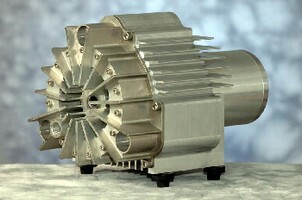 Vacuum Pump/Compressor delivers 80+% volumetric efficiency. Dry Scroll Pump features base pressure of 380 milliTorr. Single-stage, 4.2 cfm ULVAC Model DISL-100 fills ultimate pressure void left between diaphragm pumps, which are typically rated at 1.5 Torr, and 2-stage scroll pumps down to 7.5 milliTorr. Single-stage scroll design optimizes vapor handling and enables higher continuous inlet pressure performance compared to 2-stage models. Scroll Air Compressor/Pump suits small medical equipment. 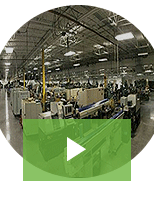 Scroll Vacuum Pump suits laboratory/medical environments.